When we create custom bathroom cabinets in Toronto, we understand that the bathroom is a space that reflects an important part of your personality. You need it to be functional and a pleasant area that sets the mood to carry you through the rest of the day. We design custom bathrooms that are airy, light, and combine all the storage space you may need. With our smartly designed bathroom cabinets, you’ll be surprised at how easily you can combine utility with convenience. We understand that the custom bathroom cabinets you order need to be systematically organized. You should be able to place the most-used items within easy reach so you can be in and out dressed for work in the shortest possible time. We’ll work with you to understand your needs and design the shelves and cabinets accordingly. For instance, you’ll need your toiletries such as oral hygiene, day and night skincare, and contacts close to the sink so you can reach them easily. 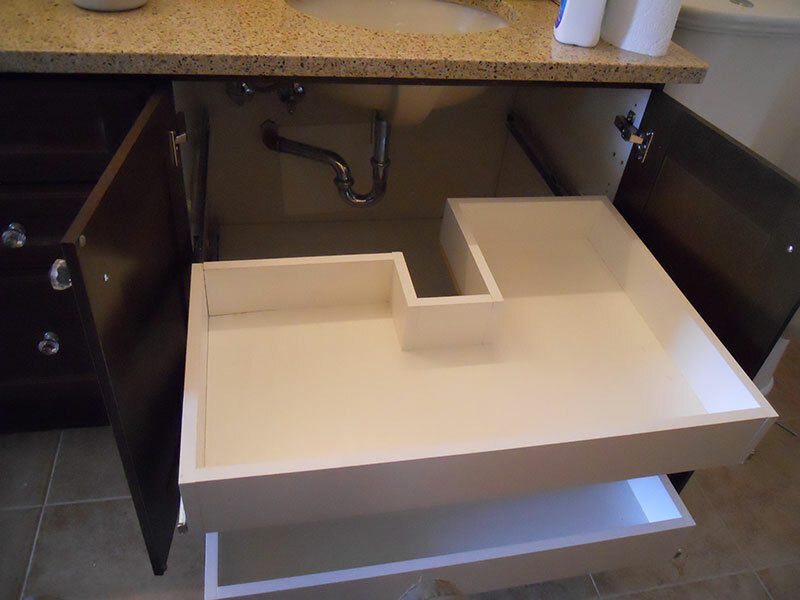 You’ll also need added storage space like, say, drawers under the sink where you can place supplies. Bathroom linen storage is another essential element of the custom bathroom cabinets that we design for you in Toronto. Depending on the dimensions of your bathroom, we can place them on racks above the toilet, or in a separate cabinet with shelves to stack them neatly. Have a compact bathroom? No worries. We’ll place a ladder of rods on one wall or even behind the door so you can drape the towels in different sizes along with bathrobes and other utility items. Now that’s the best space-saving tool possible. So, What Other Essentials Do You Need? Do you need to put away hair styling tools? Hand them up inside a cabinet door. Supplies of toilet paper? We’d suggest a pedestal rod that stacks the rolls and lets you pull out one at a time. Looking for more ideas? At Space Age Closets, we have a whole list of them. And, we’ll come up with some more just for you. Contact us and take a look.